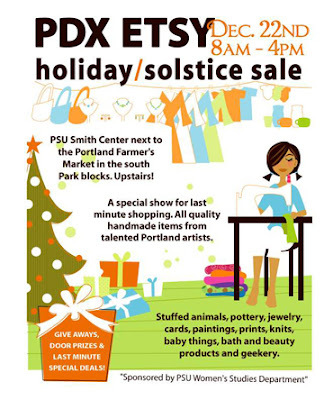 I'm only doing one craft show this year on account of stoopid old graduate school. And, it's the PDX-Etsy last-chance sale! Come by if you're in PDX.